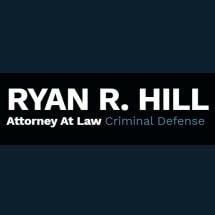 Ryan R. Hill, Attorney at Law, has been practicing criminal defense in Longview, Texas, for more than 22 years. He and his team focus primarily on DWI cases and also handle drug crimes, domestic violence and assault charges, and other crimes. For many years Ryan worked beside his father, Odis R. Hill, the former defense lawyer and Gregg County District Attorney. He is intimately familiar with the local, state and federal legal systems in East Texas. His in-depth knowledge of criminal law helps him determine exactly what you are facing and assess the best strategy to obtain the best possible outcome. Ryan will meet with you to discuss the details of your case. He will compare the evidence against you to your account of events and look for inconsistencies as well as potential errors on the part of the arresting officer or violations of your constitutional rights. We understand that a conviction carries heavy penalties beyond jail and fines. Our goal is to help you avoid the consequences of a conviction. We will do whatever we can to get charges reduced, negotiate a plea agreement or have your case dismissed before trial. If your case does end up in court, Ryan is an accomplished trial attorney and will fight to obtain an acquittal. You cannot afford to risk your future on an incompetent or inexperienced lawyer. Please contact our law firm to learn more about our services.